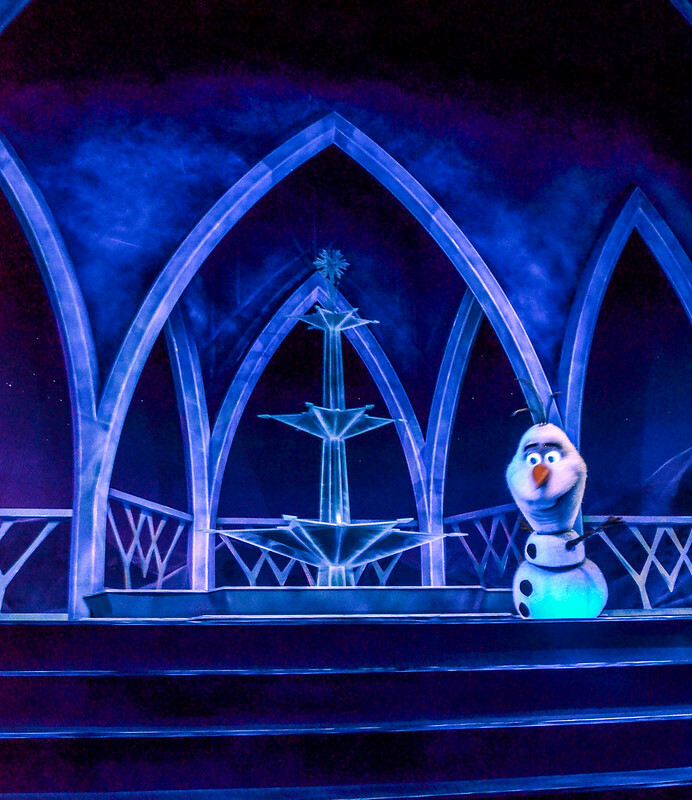 Frozen Ever After is a new dark ride in Epcot’s World Showcase. 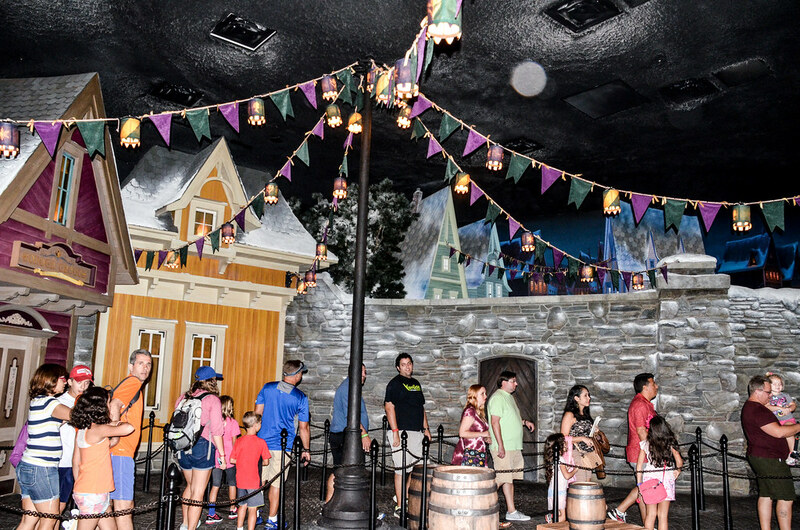 Located in the Norway Pavilion, Frozen Ever After opened in Summer 2016 and immediately became Epcot’s most popular attraction. 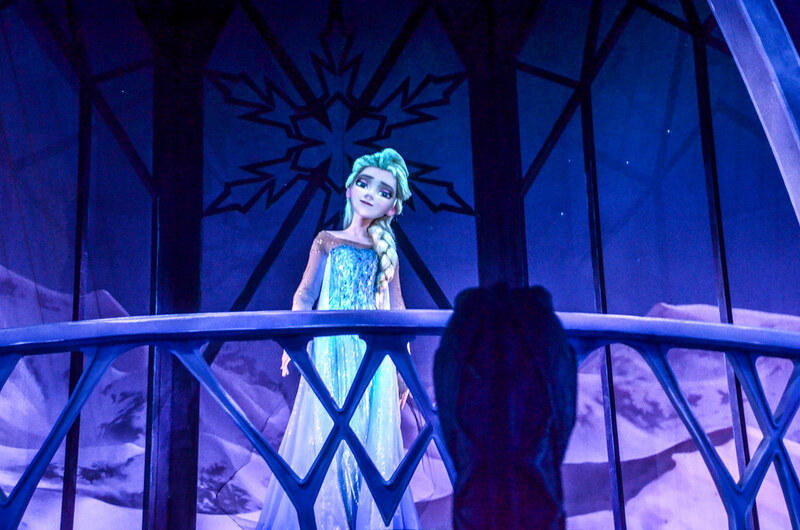 The ride starring Anna and Elsa replaced a cult-favorite Maelstrom. Just a quick bit of strategy about when to go on Frozen Ever After before we get to the review. 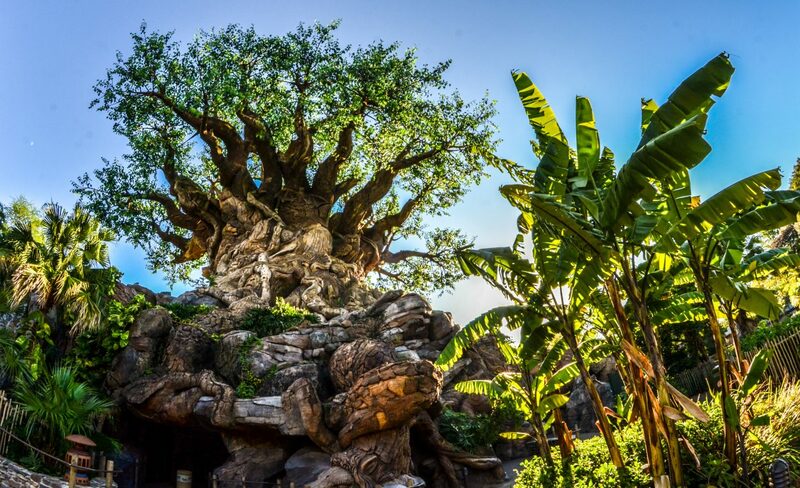 It’s a ‘quick bit’ because the strategy is simple – get a FastPass+ for this ride. Frozen Ever After is easily the most popular attraction in Epcot right now and will be for the foreseeable future. Getting a FastPass+ at the earliest you can (60 days if staying on-site) is vital. If you are unsuccessful there, keep looking as your vacation draws closer. Times tend to open up as people start to cancel some of their plans. If FastPass+ is not an option then there are really only two good choices (possibly a third) if you don’t want to waste a couple of hours of park time in line. The first option is getting to the park before opening (at least half an hour) and head straight to Frozen Ever After. You can book a breakfast reservation for Akershus, which is a restaurant in Norway, before the park opens so that you’ll have a head start on all the rest of those folks. I don’t really recommend this since I don’t think the breakfast offers a good value but it will help you avoid the lines. Another option is getting in line for Frozen Ever After a few minutes before the park closes. Cast members will make sure you get to ride as long as you’re in line before the park closes. Now, this may cause you to miss Illuminations or it may be too late for kids to stay up but this is a decent option in my opinion. The last option I’ll give is not one you should count on but something to keep your eyes open for. Frozen Ever After has broken down a lot (more on this during the review) but is usually back up in running during the same day. If the ride breaks down for long, the line usually clears out. If this happens then keep an eye on the My Disney Experience app and stay somewhat near the Norway Pavilion. As soon as you see the ride open up, hustle over to Frozen Ever After. This is basically the park opening philosophy but you’re using the rides own flaws against it. Again, I wouldn’t count on this but rather it’s a good way to ride Frozen Ever After for the 2nd time during your trip. If you have more questions about strategy, let me know in the comments. My thoughts on Frozen Ever After are much more than just simply being about the actual attraction. Anyone who knows the situation around where the ride is and what it replaced knows that this was much more complex than simply adding a ride. So, I think it’s fair to break the review down into two sections, the first of which simply being is this a good ride? The answer is yes, Frozen Ever After is a well done attraction. Considering the small foot print of the ride, I thought the queue was well done. With the Norway Pavilion looking like a small Norwegian village, the inside of the attraction continues that theme. The rooftops of these little houses (or businesses) are dusted with snow. There’s some fun lighting and a few little illusions that give the queue a little extra depth. Now, this queue isn’t top-of-the-line or anywhere near it but they did well with what they had. Frozen Ever After did fairly well on the details and that starts in the line. One thing I appreciate about this attraction is that it’s not a book report version of the movie. 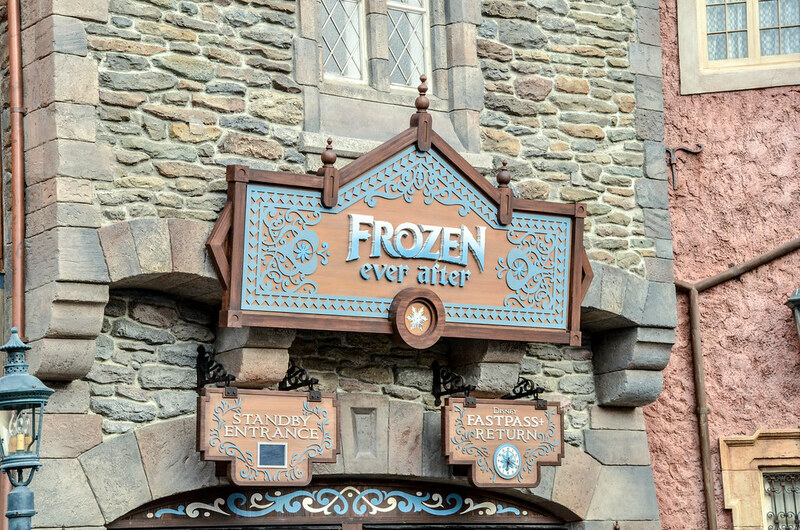 Frozen Ever After takes place after the events of the film (probably) and while the story isn’t particularly memorable, I prefer an attraction to be more than just a retelling of its source material. 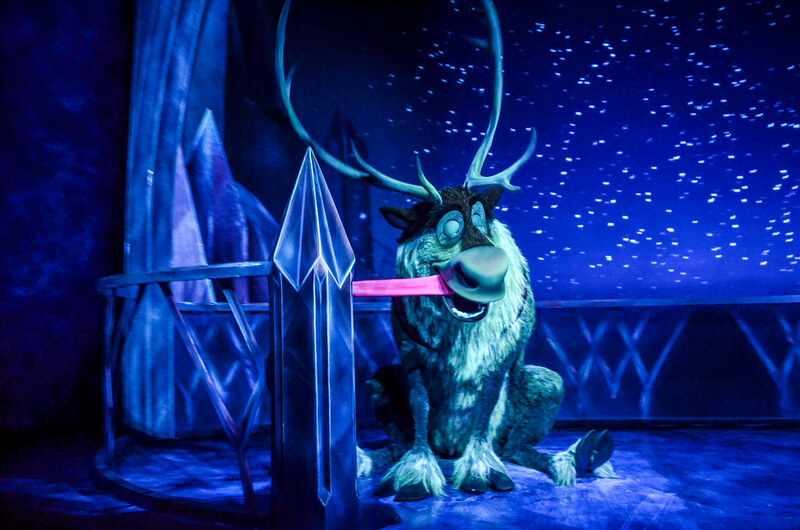 What Frozen Ever After does with its plot is more that it simply drops guests in to check out Olaf, Sven and the gang. They are singing the classic songs that we’ve all heard so many times but the music doesn’t seem overdone. These quick scenes are classic Disney, reminding me of a standard Fantasyland dark ride like Peter Pan’s Flight and Snow White’s Scary Adventure. 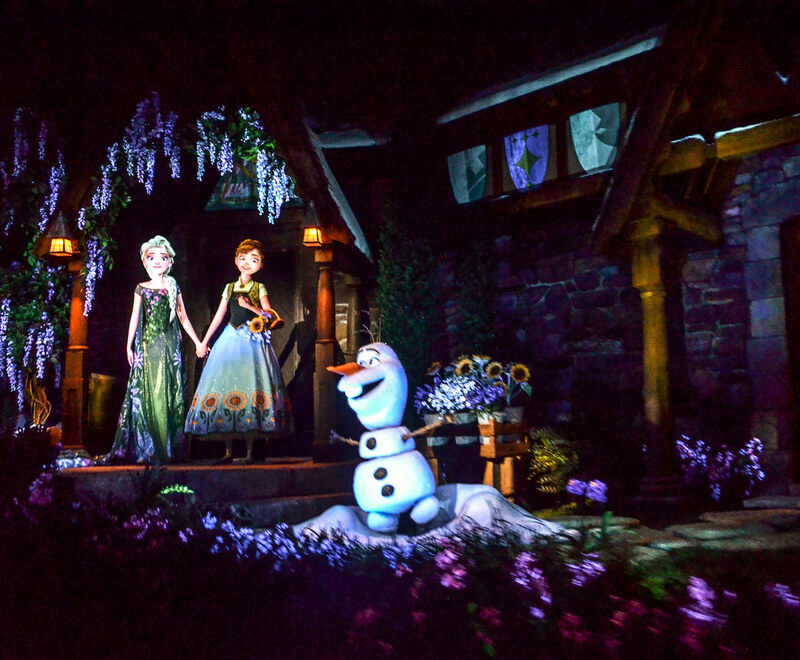 The advanced audio-animatronics were a definite highlight of Frozen Ever After. Olaf was skating around and had some great movements. 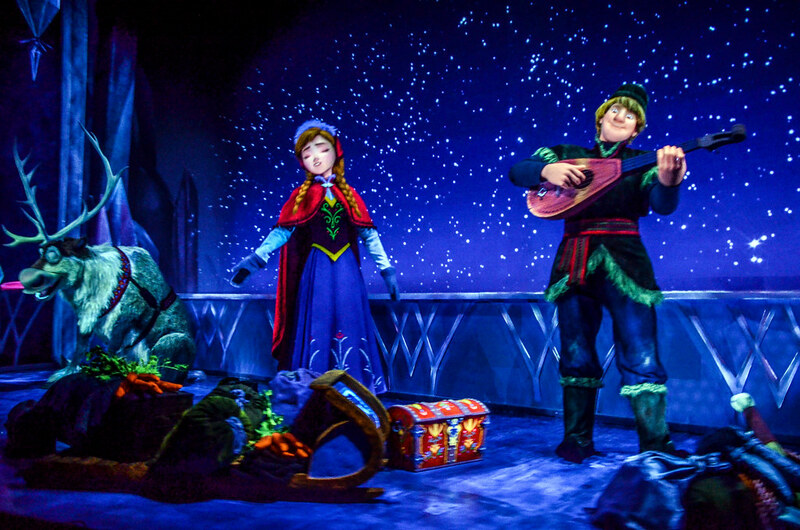 The human animatronics were also a bit more advanced than what most Disney fans are probably used to, using projections mapping for the faces of Anna, Elsa, and Kristoff. These projections are sometimes noticeable but more often than not I thought they looked pretty lifelike. The climax of the attraction comes predictably when Elsa is singing ‘Let It Go’ in her ice castle. Even though it’s predictable this sequence works fairly well. There could be more to see visually but that’s a very small gripe. When we rode this Elsa was unfortunately not moving like she usually would. Still the scene was fun as the boat was moving at a pretty good speed. Speaking of the boat, the attraction is largely the same layout as Maelstrom before it. I do think that a boat ride is a fairly strange means of transportation through Arendelle (which is Frozen). A bobsled seems like the obvious choice. Or maybe the luge? Still, that’s picking at nits. I think Disney has shown that they have a pretty good grasp on the balance between physical sets and screens/projections. This is another feather in that particular hat. I’ll always lean more towards the animatronics and physical sets which is precisely what this ride does. One negative Frozen Ever After runs into is that Epcot has had a ton of trouble keeping it open. This is fairly common for an attraction in its first year of action but it’s also something to keep an eye on going forward. I do believe Frozen Ever After was opened up before it was ready and that has forced it into some downtime. I expect the issues to be ironed out over the next few years. So, I’ve come to the conclusion that Frozen Ever After is a good attraction that will succeed for a long time into the future. Unfortunately, that only tells half of the story. The other half is about an attraction that is shoehorned into an area that it doesn’t really fit. When Epcot first opened the goal was to be entertaining and educational. At this point, the latter is leaving the park. There are still remnants of the original mission but many places have been dumbed down or shuttered. This topic deserves its own blog post (and will get one soon) but, in short, Epcot is not what it used to be and Frozen Ever After certainly is part of that problem. Frozen doesn’t take place in Norway, which is the pavilion where the attraction resides. Yes, I know Arendelle draws inspiration from Norway but that’s not the same. I also understand the arguments that World Showcase needed something more for kids but that doesn’t mean it needs to be a ride involving characters. There are plenty of quality attractions throughout Walt Disney World without characters and they have some great success. The biggest problem I have with Frozen Ever After in the Norway Pavilion is that it takes the attention off of Norway and instead focuses on the Disney brand. The theming takes a backseat, giving way to more self promotion. Some may say that’s not a big deal and that it’s just nice to have a new ride in Epcot. I get that but I think fans need to draw a line somewhere. 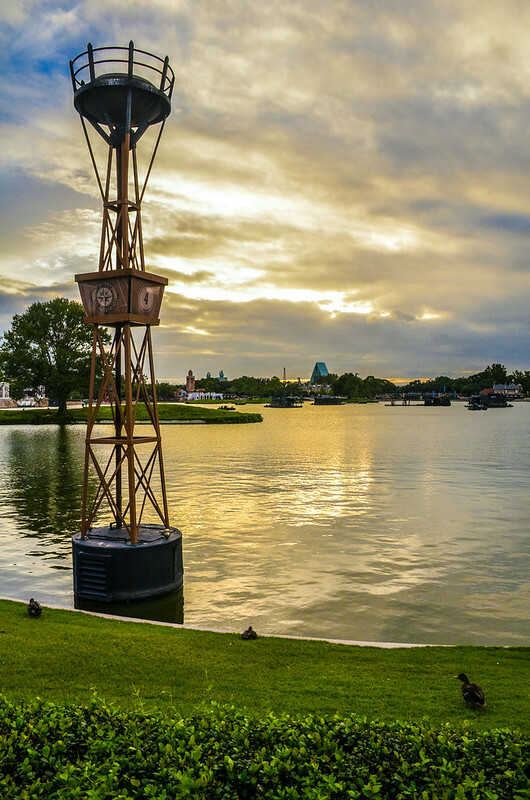 What has set Disney theme parks apart for years is their ability to immerse you in details and, in Epcot’s case, culture. Every time there is an attraction that is shoehorned into an area, a convoluted back story is made up and the lands become more confusing and less cohesive. This is avoidable and something that I’m critical of. Unfortunately, Disney didn’t avoid this problem here. 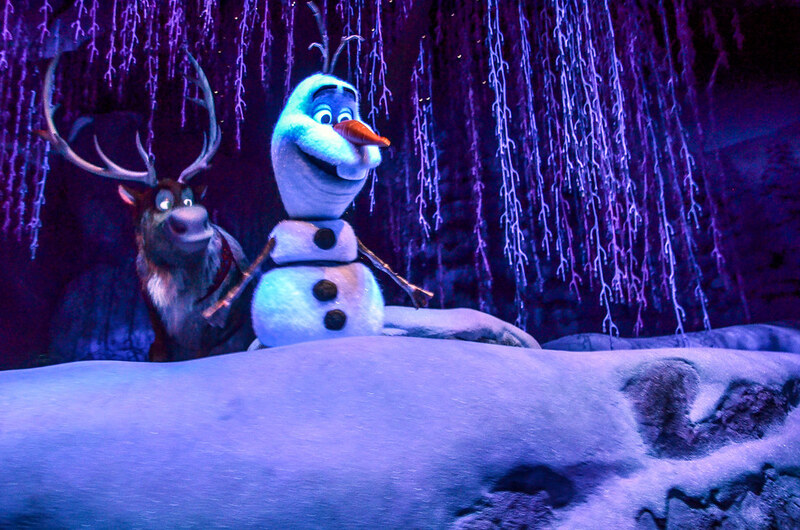 All in all, Frozen Ever After is the best dark ride Disney has created in the U.S. in decades. The state-of-the-art audio animatronics are incredibly done and they do a good job of incorporating characters without the ride feeling like a book report. Unfortunately, Frozen Ever After is in the wrong spot and that holds the attraction and pavilion back. What could have been a classic ride is something less than that due to it not fitting the Norway Pavilion.